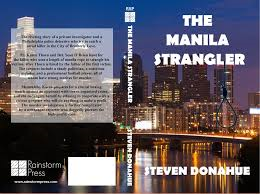 The riveting story of a private investigator and a Philadelphia police detective who try to catch a serial killer in the City of Brotherly Love. P.I. Karen Thorn and Det. Sean O Brien hunt for the killer, who uses a length of manila rope to strangle his victims, after Thorn is hired by the father of the first victim. The suspects include a shady politician, a notorious mobster, and a professional football player, all of whom have strong motives for murder. Meanwhile, Karen prepares for a crucial boxing match against an opponent with ties to organized crime, and she endangers herself by refusing to cooperate with a vicious gangster who will do anything to make a profit. The murder investigation is further complicated by a newspaper reporter who doggedly pursues the high-profile case.